The wrap off the shoulder details adds a modern twist to this classic silhouette. 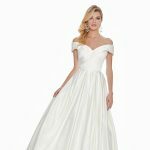 The full ball gown skirt is complete with pockets. 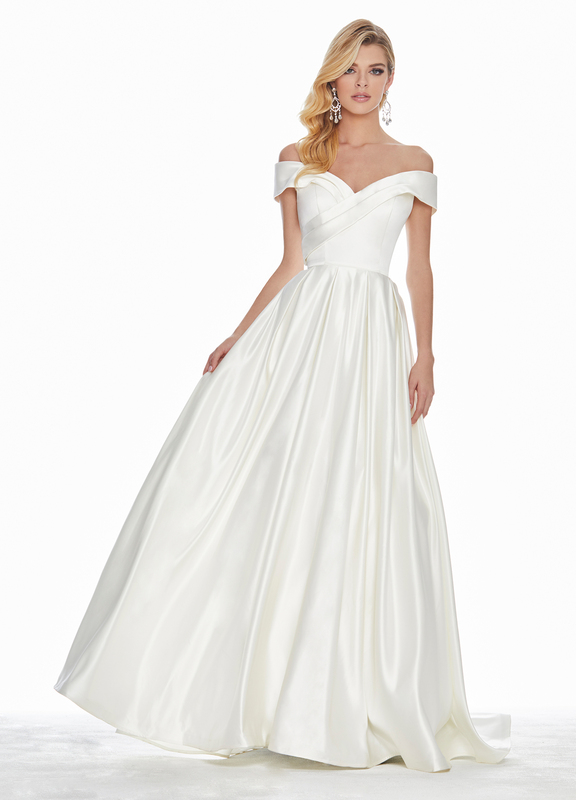 Heavy and soft satin with a classic neckline.